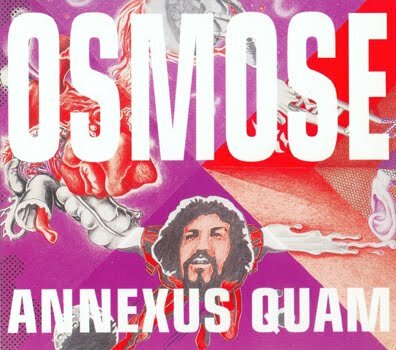 German band Annexus Quam's first album is a strange one. Good, but strange nonetheless. A "Kosmische" stew of avant-garde, jazz fusion and rock with great lashings of guitar, and unusual use of brass and woodwind instruments and psychedelic studio effects. And then there's the wordless vocals and weird chanting! All in all a very satisfying, lysergic album probably best listened to with headphones. Damn I don't even own a pair I should really get some. Take the more jazzy parts of Pink Floyd's "Atom Heart Mother" and go all krautrocky on them and you may have an idea of what this sounds like. Bye, and have a happy Labor Day if you're American, or have a happy regular day if you're not! Thank you very much for this album. yeah Mat it's a pretty sweet album! How ya doin' mate,thanks for the post. Thanks a lot! It's very nice album. Also thanks for your musical work. Thank you! I discovered this band on the Krautrock cd sets. They are pretty far out, even for Germans. Dark and trippy. You made me happy.